A colourful mix of peony shaped flowers ideal in pots and borders. -I n the right conditions these bulbs will naturalise. 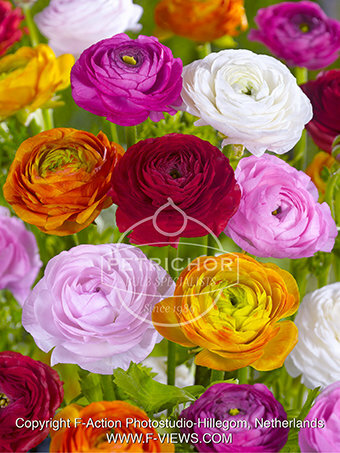 - Ranunculus rhizomes/bulbs need to be soaked prior to planting.